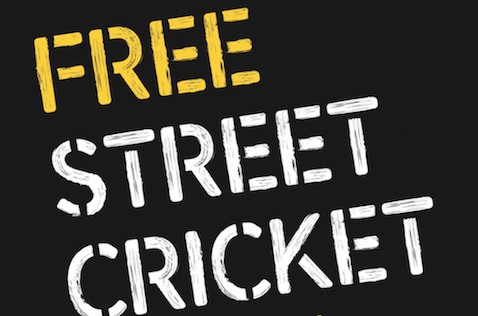 Free action-packed street cricket sessions for youngsters | Joining In! Summer may be over and the cricket season ended, but there is a great chance for young people to pick up a bat and ball with a fast-moving game that’s played indoors. Street Cricket sessions are being held at the gym at Kings College, Southway, Guildford GU2 8DU every Monday, hosted by none other than Surrey County Cricket Club. There are two sessions. From 4pm to 6pm, for boys and girls from the ages of eight to 14, and from 6pm to 8pm for young adults. You don’t have to book, just turn up. You don’t need to bring any special kit, just wear your own trainers. Street Cricket is a fast moving game. It’s designed to be played in crowded urban environments using five-a-side football pitches, basketball courts and sports halls. Take two bats, two sets of plastic stumps, a tape ball and four to eight players and you’re ready to go! Each game lasts a maximum of 20 legal balls per team or until the batting team is out. 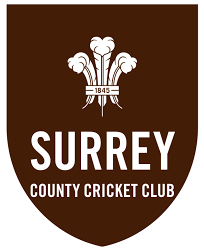 The free sessions are led by Surrey County Cricket Club’s community cricket coach for Guildford and Woking John Monday. He said: “We believe that competition is a key motivator for young people and we want children to enjoy sport competitively and in the right spirit. “Playing fast-moving eight-a-side matches that take less than an hour is ideal for teaching young people respect, for themselves, their team mates, the opposition and respect for officials. Part of John’s role is to create better relationships within local communities and schools through fast-paced cricket games. 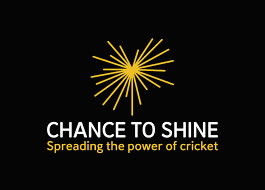 Street Cricket is being promoted by Chance To Shine, a national charity on a mission to spread the power of cricket throughout schools and communities. Street Cricket was launched in 2008 to bring cricket to children in London. In 2011-12, the programme was expanded into Birmingham, Bristol, Dewsbury, Hull, Liverpool and Manchester. It has now reached more than 38,000 youngsters and is taking cricket to new people in new areas that would otherwise miss out on the chance to play. 85% of participants since 2008 were not members of cricket clubs.